UrbanWINS, an EU-funded project aimed at developing and testing methods for designing and implementing eco-innovative strategic plans for waste prevention, has launched UrbanWINS agora, a participative virtual community that aims to share knowledge and discuss ideas on waste, resources and innovation. The UrbanWINS agoras intends to facilitate citizen and other stakeholder feedback into the project, as well as encourage and promote brainstorming among participants, co-creation of the solutions, and a shift towards more sustainable consumption and production patterns. In addition to citizens’ involvement, participants in the online UrbanWINS Agora is expected to include governments, organisations, waste management solution providers, research institutes and educational centres. 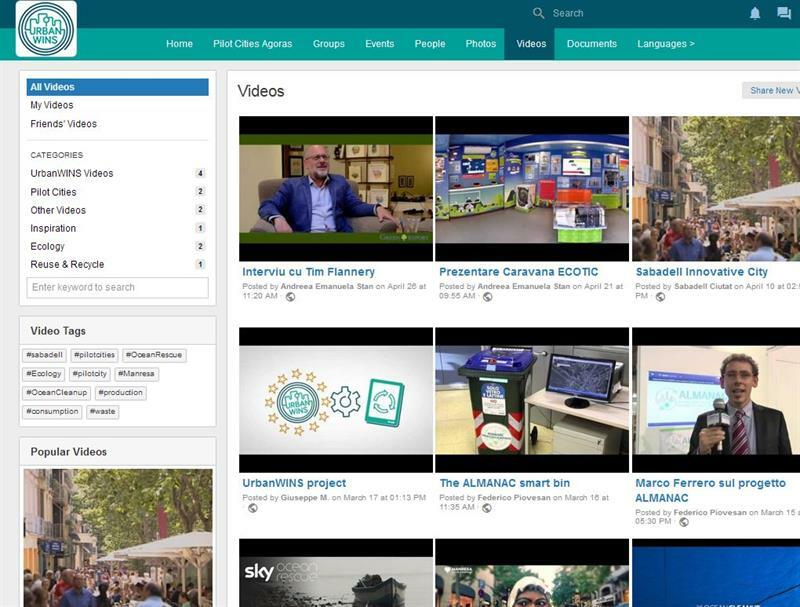 "The online platform will inform about international activities and ideas and also connect to face-to-face workshops and local actions organised in eight pilot cities across Europe – Cremona,Torino, and two cities within the Metropolitan City of Rome Capital, Albano Laziale and Pomezia (Italy), Bucharest (Romania), Leiria (Portugal), Manresa and Sabadell (Spain)," said a spokesperson from UrbanWINS. The recommendations and tools co-developed with the involvement of citizens is expected to be replicable to other cities. One of the final outcomes of the project is anticipated to be a toolkit for participatory and science- based decision-making and planning for waste prevention and management that can be applied in any public authority across Europe. Each of the pilot cities is said to have its own webpage, providing information on its waste management and prevention strategies and figures. UrbanWINS is a three-year project that started in June 2016 and is funded by the Research and Innovation Programme Horizon 2020. It analyses how cities consume resources and products, and how they eliminate the waste produced, in order to develop and test eco-innovative plans and solutions aimed at improving waste prevention and management. "The participatory approach is an added value of UrbanWINS, as the vision of all relevant players for waste production and management at urban level will be taken into account," continued the UrbanWINS spokesperson.